No kitchen is complete without a good cooktop. 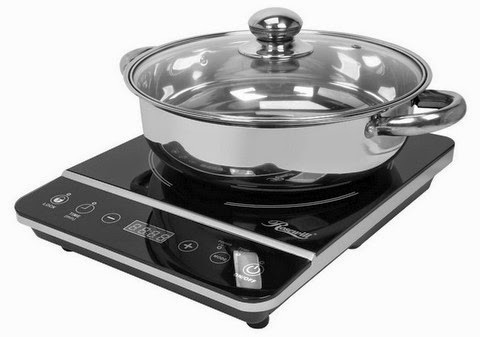 Nowadays induction cooktops are quite popular and come in different sizes. Today, we're going to look at some of the best portable induction cooktops you can use in your kitchen. If you're currently using gas-based cooking burners, it's high time to replace them with induction cooktops. They're safe to use and cook evenly. No matter what's your cooking style, these useful cooktops will gel so well with your unique cooking routine. Since all these cooktops are compact, you can use them in a small kitchen too with ease. I'm using one of the cooktops included in this list and it works perfectly. So let's check out these portable induction cooktops. 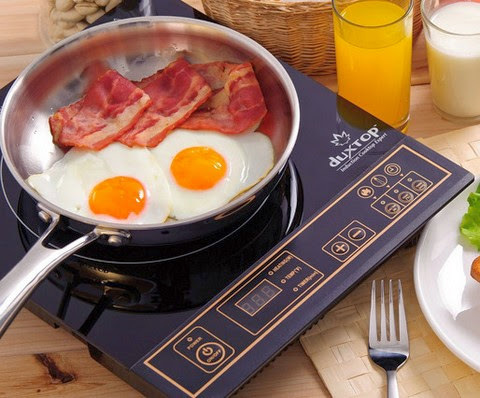 DUXTOP Portable Induction Cooktop - This light and compact induction cooktop is one of my favorites. It can fit nicely into any space no matter how small is your kitchen. With a wide range of temperature variations and a flexible timer, you can easily cook a wide range of recipes. The sleek and elegant look of this induction cooktop makes it one of the most visually appealing options in the market. Its auto pan detection option turns it off quickly when you're not cooking anything. 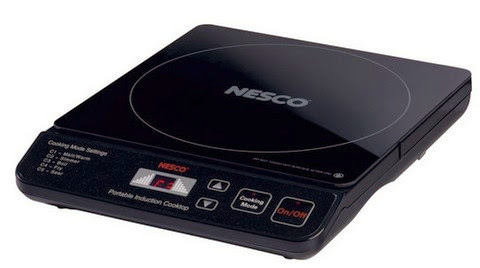 Nesco Portable Induction Cooktop - This powerful yet light induction cooktop supports 5 temperature settings and supports wide array of pans you can use with it. This cooktop is well known to rapidly heat pans reducing your energy consumption. Due to its ceramic glass top, you can easily clean greasy substances on its surface. While cooking, the cooktop itself stays cool to ensure you do not burn yourself inadvertently. This cooktop also supports auto pan detection to save energy whenever a cooking utensil is not present on its cooking surface. 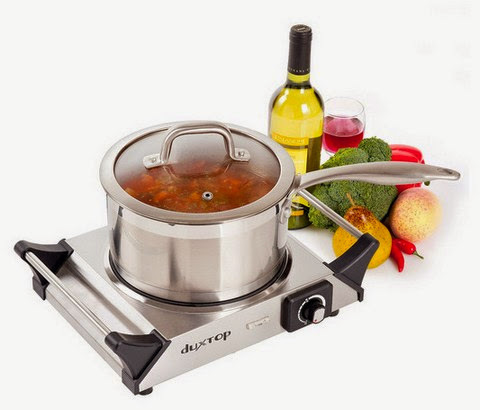 DUXTOP Ceramic Infrared Cooktop - You can use almost any type of cookware with this cooktop. It can heat the pans rapidly to save your time and energy. Its cool carry handles allow you to quickly shift it anywhere with ease. The ceramic top surface can be cleaned so easily. Its durable stainless steel casing gives it the strength to last long. Since it is compact in size, you can use it in small space without any issues. You can also use this excellent cooktop for outdoors while camping. Max Burton Induction Cooktop - This is one of the most visually appealing induction cooktops in its category. It has 10 different power levels to cook almost any cuisine. Its digital display and touch button controls allow you to customize the settings with ease. 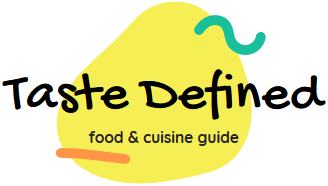 It also has a detection mechanism that indicates whether a cookware can be used with it or not. Its long range 180-minute timer allows you to cook meat preparations in bulk. I'd highly recommend this induction cooktop. Rosewill Induction Cooktop - This cooktop has 8 different power levels for easy cooking. It also has a unique overheating protection feature. Its durable polished cooking surface makes cleaning quite easy. Its LED powered digital display eases the temperature reading. It can support timer settings for up to 3 hours. Make sure you do not use cookware made with glass or copper on this cooktop. Its touch-based control panel works seamlessly on your fingertips making cooking easy. 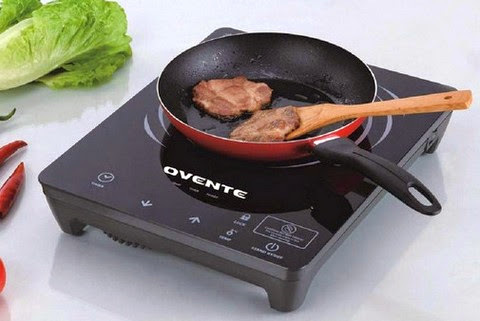 Ovente Ceramic Infrared Cooktop - This high end portable cooktop comes with up to 12 temperature levels. One can also program up to 5 custom timer durations for frequently used cooking routines. This cooktop heats cookware quickly and is devoid of any cold spots. You can use all types of cookware with this cooktop whether it is a glass or a copper pan. Its top ceramic surface is sturdy and long lasting. This cooktop not only heats up very quickly but also cools down quite fast. 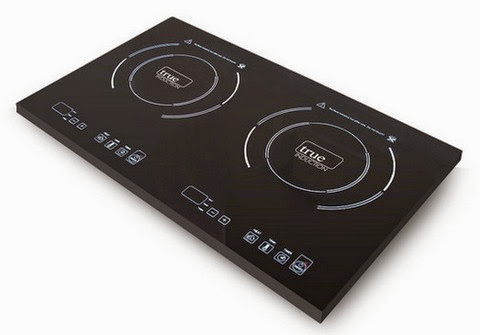 True Induction Double Burner Cooktop - This sleek induction cooktop has dual burners to speed up the cooking time. Its smart energy transfer system utilizes the full power source in case one of the burners is in off state. Its digital control panel is easy-to-use and allows you to customize the settings with the tips of your fingers. Its single-piece top glass surface makes cleaning process easy. Make sure you do not use nonmagnetic cookware with this powerful induction cooktop. 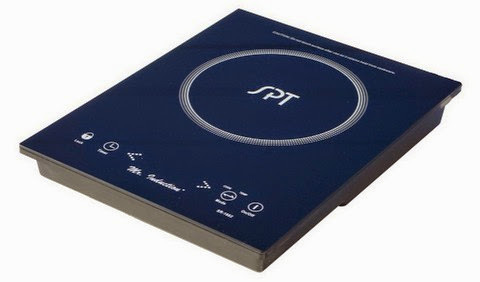 Spt Induction Cooktop - This induction cooktop has a touch-sensitive control panel that can be locked to ensure your kids may not use it in your absence. You can use this cooktop in two modes viz., cook and warm. It also supports automatic pan detection for efficient power consumption. 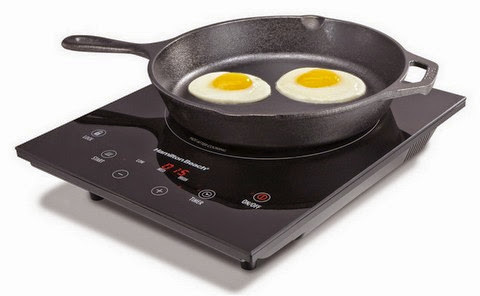 While using this induction cooktop, only the cookware is heated and that too evenly to ensure safe and quick cooking. You can either use Fahrenheit or Celsius measurements as per your convenience. 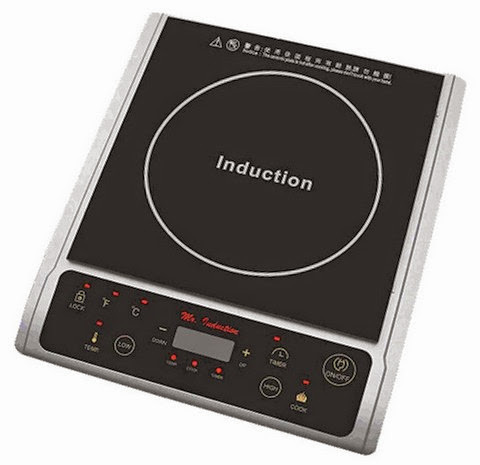 Hamilton Beach Induction Cooktop - This induction cooktop supports up to 6 different temperature settings. Its compact design is ideal for small kitchens with limited area. Its sturdy glass top can be cleaned quite easily without any problems. Its heating is even and cooks food up to 40% faster than conventional burners. Like other good cooktops, this one also has a lock feature for additional safety. The design of this induction cooktop is very good and visually appealing. Mr. 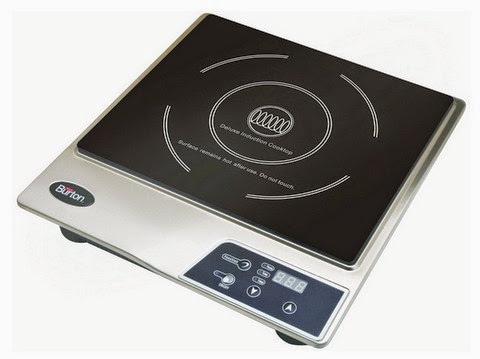 Induction Cooktop - This cooktop's micro crystal ceramic top plate is very durable and gives strength to the cooking surface. It has one of the best timers in its category with up to 9 hours and 59 minutes duration. It has 9 cook mode settings and up to 13 warm mode temperature settings making is quite a flexible cooktop. Its impressive design is compact and light that can be shifted anywhere. You must use ferromagnetic cookware while using this handy cooktop.